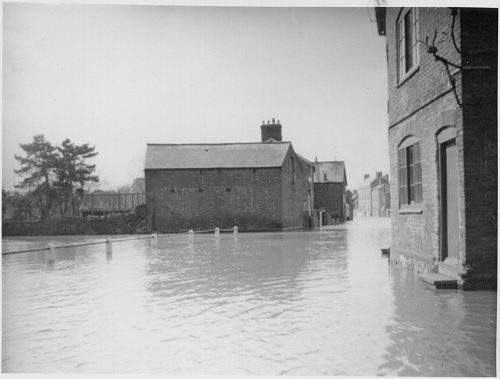 Pre-1940 floods in Soar Road. This is a view looking east towards Stoop Lane. The railings on the left show the north bank of the River Soar. The coal wharf building is in the centre.